No matter what the scale of the job is, it’s never a good idea to handle the tree felling yourself. 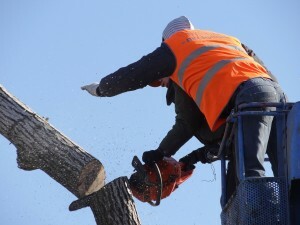 This task needs skill, knowledge, and the right equipment as well; this is why you should hire the services of the credible and reputed company that provides tree felling Beaumont Hills service. We at North Beaches Tree and Garden Services have been operating in this space for over 15 years and cater to both residential and commercial customers. We are highly committed to our work and focus on providing our clients value for money with our custom, local tree felling solutions. Whether the trees on your property have got impacted by stormy weather, or you just need to clear some trees to make space for landscaping features, we can handle the job for you. We have a team of highly skilled and professional tree felling Beaumont Hills technicians on board that have the training and knowledge to tackle any tree problem and finds a suitable solution. Our technicians will visit your location and inspect the tree to be felled and the area around it. They will assess the condition of the tree and chalk out a plan for the felling. This is a very important aspect of the job because the condition of every tree and its location will be different. This is why there is no fixed solution and we provide the custom solution based on the setting and requirement. Once we have planned everything down to the last detail, we will provide this information to you along with the quote. On approval of the quote, we will carry out the work as scheduled. You will find that is our cost of tree felling in Beaumont Hills is very reasonable and that our technicians are very efficient and professional and complete the work safely and within the shortest possible time. Once the tree or trees have been felled, all the branches, pieces of the tree trunk and the foliage will be removed safely and responsibly from your property. The stumps will also be ground till the point the ground is leveled and completely free of tripping hazards. We have created a distinct niche for ourselves and provide excellent, safe and affordable tree felling Beaumont Hills service. For any more information feel free to call North Beaches Tree and Garden Services on 0425 804 830. You can also request a FREE no-obligation quote via this form or even send us any queries you may have.